(Natural News) Humans aren’t the only ones to use plants as medicine for aching joints — shocking evidence has emerged demonstrating that orangutans do this as well. Video footage from the Borneo Nature Foundation shows a female orangutan in the Sabangau Forest chewing on the leaves of a plant and working them into a soapy lather. She can then be seen carefully rubbing it onto her arms and elbows for seven minutes. “Indy,” as she is called, doesn’t swallow the leaves and eventually spits out the chewed-up pulp. The Borneo Nature Foundation collaborated with a team of scientists to look into this astounding phenomenon. Tests conducted by the researchers eventually revealed the leaves to be from the Dracaena cantleyi, a bitter-tasting plant already being used by the indigenous Indonesian people as anti-inflammatory medication. Upon further pharmacological analysis, the researchers found the leaves to be comprised of compounds that inhibited proinflammatory cytokines, or proteins involved in the regulation of inflammatory reactions. “Thus, the rubbing of this soapy substance onto their limbs can provide anti-inflammatory benefits to the orangutan. It also supports the reasons given by local indigenous people for their use of this plant,” wrote the researchers in their study, published in Scientific Reports. This recent discovery makes the orangutans of the Sabangau Forest unique, even among other apes. For instance, there are records of chimpanzees, bonobos, and gorillas chewing plant pith and swallowing the juices as a means of controlling internal parasitic infections. Similarly, lesser apes such as white-handed gibbons in Thailand have been observed eating leaves for the express purpose of expelling intestinal parasites. 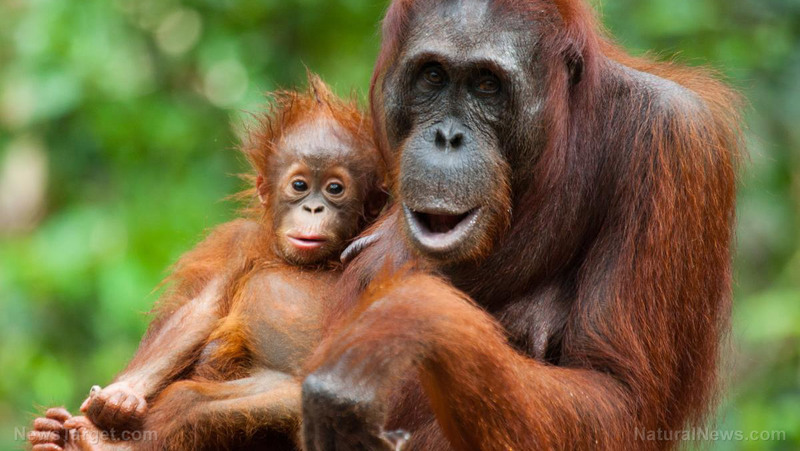 However, only orangutans thus far have been seen turning plant matter into a soothing ointment. Speaking of their findings, the researchers called to attention the importance of tropical forests as sources of medicinal plants. Moreover, the results bring to light the possibility of orangutans having knowledge of and using other plants for medicinal purposes, although confirming this would require further study. The phenomenon of animals self-medicating is known as “zoopharmacognosy.” This term is a combination of the Greek words “zoo” (meaning “animal”), “pharma” (meaning “drug”), and “gnosy” (meaning “knowing”). For a behavior to be deemed as self-medicating, four questions need to answered. First, is the plant typically eaten by the animal? Second, does the plant offer any nutritional value to the animal? Third, is the plant usually eaten during a certain period of time, such as when parasites are more common? And fourth, do other animals eat the plant as well? In addition to wild animals, domesticated ones like dogs have been known to engage in zoopharmacognosy. Specifically, they sometimes eat grass, despite it making them sick. Experts think that this is to induce vomiting to relieve stomach discomforts. For more cool discoveries about animal behavior, visit WeirdScience.news.